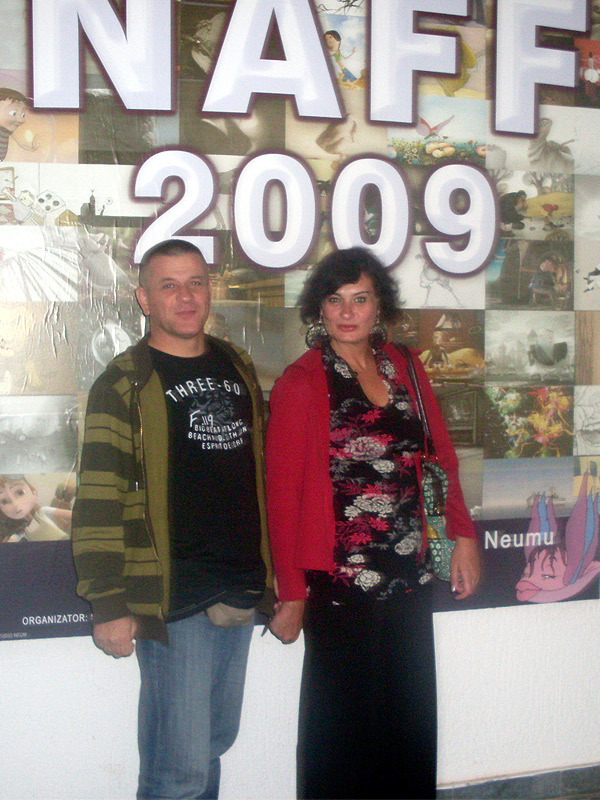 2009 Neum Animated Film Festival (Neum 27.06. - 02.07.2009.) 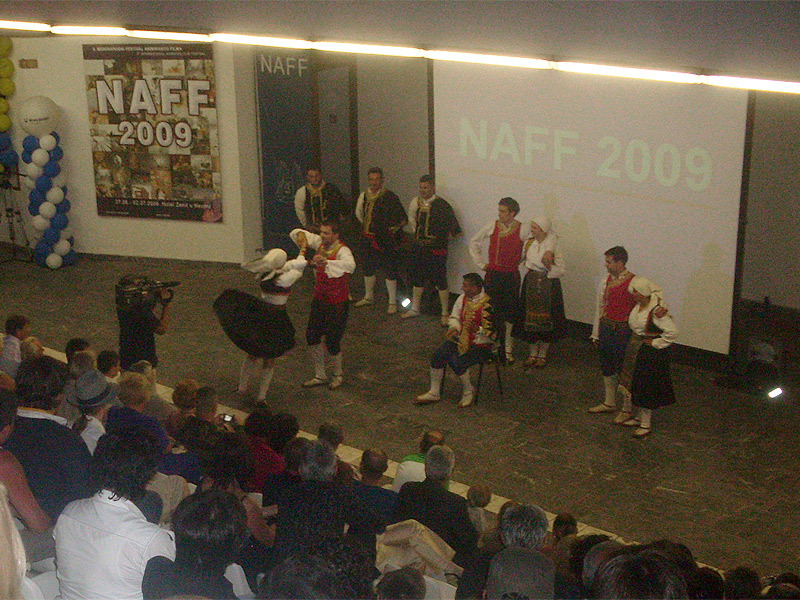 Neum, 28.06.2009 svečanim otvaranjem započeo Neum animated film festival 2009. Čin otvorenja festivala obogatilo je neumsko KUD Humski glas koje se predstavilo zanimljivim etno nastupom. Brojnu publiku pozdravio je domaćin, načelnik neumske općine Živko Matuško ističući značaj ovako velikog i uglednog festivala za malo turističko mjesto kakvo je Neum, a utemeljitelj festivala, vlasnik Studija Neum Jurinko Rajič zahvalio je brojnim gostima - autorima koji su s raznih strana svijeta došli prisustvovati festivalu na kojemu će se do narednoga četvrtka predstaviti autori iz četrdeset zemalja s pedeset naslova u službenoj konkurenciji. 2. The best 2D animation film «The yellow envelope», belgijskog autora Delphine Hermans. 3. The best 3D animation filmu bosansko-herc. Autora Ivana Ramadana «Tolerancija». 5. The best music The well, autora Andrej Gosjenicki. 6. The best music animated video clip «Neige» francuskog autora Stephana Berla. 7. Public award Joystick autora Kevina Richardsa iz Velike Britanije. 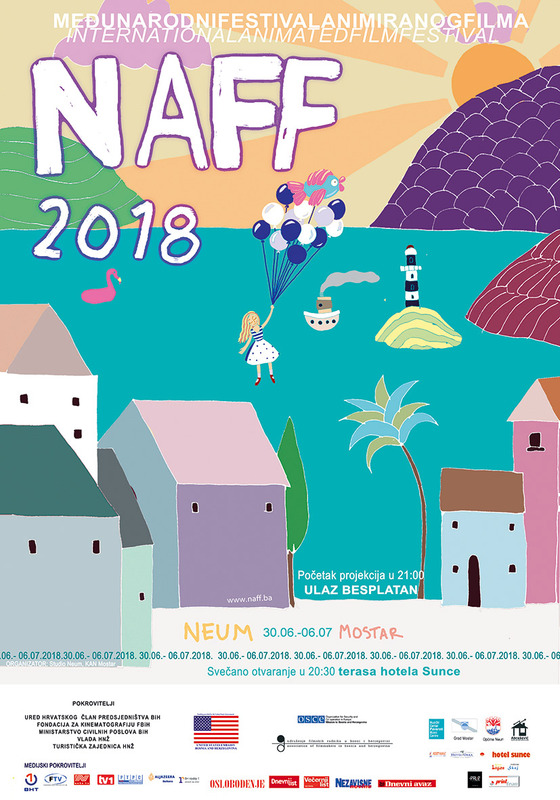 This year the mayor of Neum, Mr. Živko Matuško will give the price for the work on animated film, to a great director and animator Mr. Borivoj Dovniković (Bordo). Slaven Knezović, was born in Mostar on 4th of March in 1968. Graduated from the Academy of performance in Zagreb. 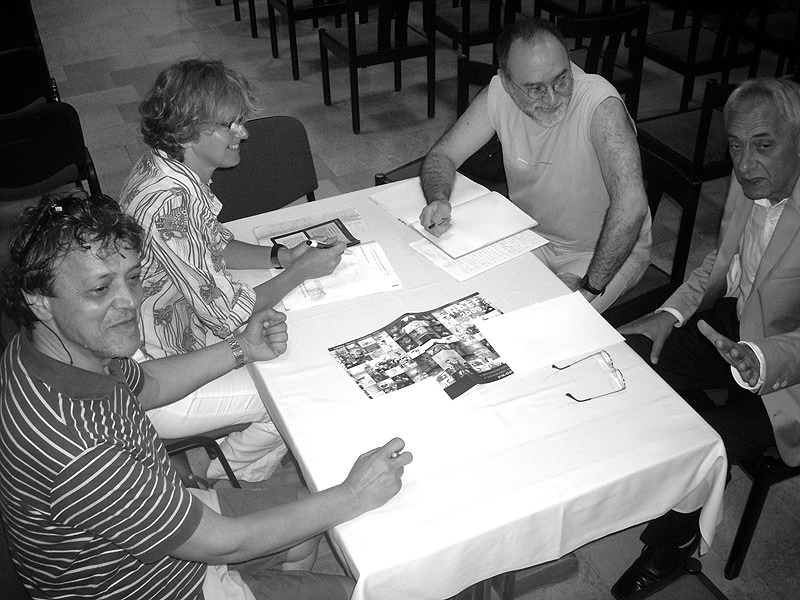 He was a permanent acter in the Marin Držić theater in Dubrovnik from 1997-2000. He has had over 20 roles in films and TV series and performed in 27 theater plays. 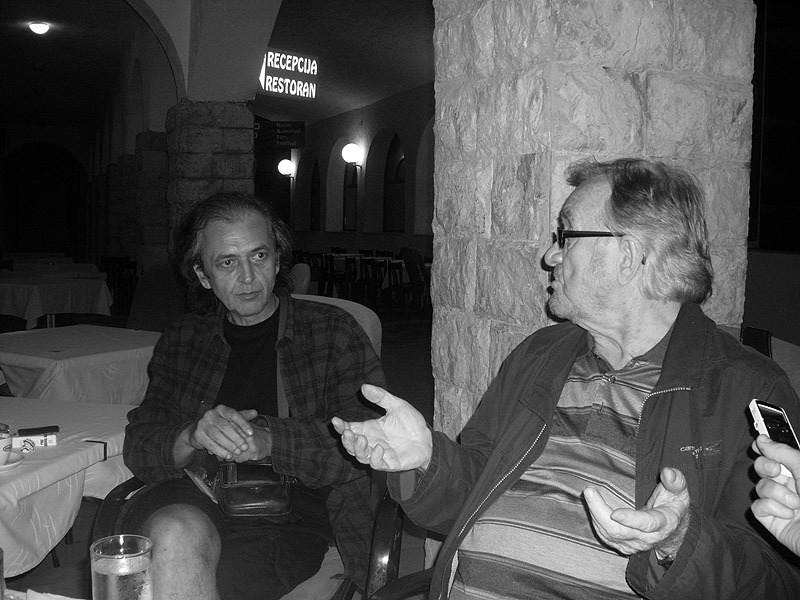 He is one of the founders of “Days of film” in Mostar. He is living and working on relations Mostar-Zagreb. 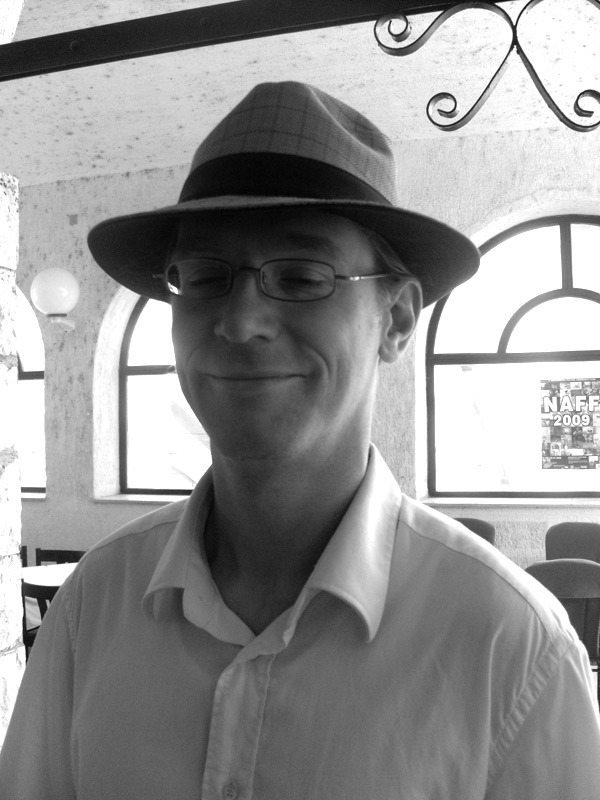 Dževdet Tuzlić, is a long-year journalist, radio and TV editor. MOmentarily he is chief editor of the Programme for culture of public servis BHT1 TV. 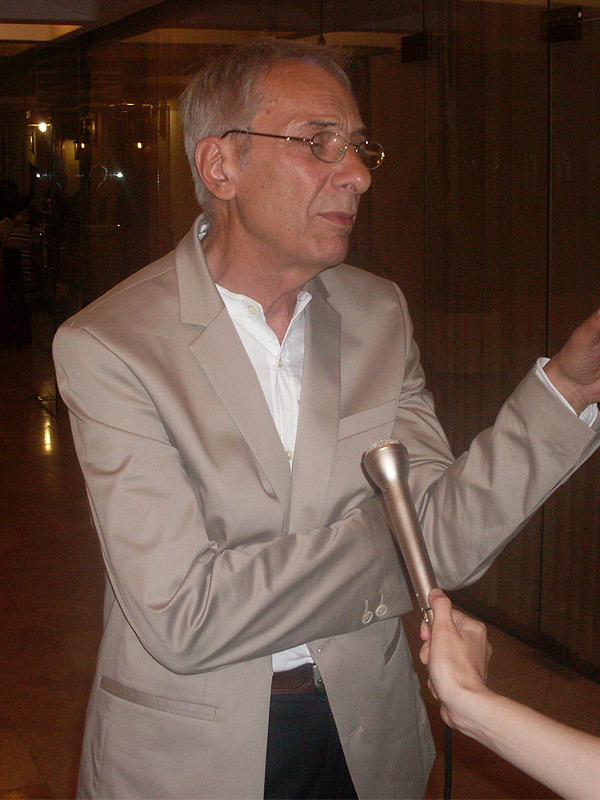 He participated many international TV festivals in Bar, Marseille and Tuzla with his documentaries and TV shows. He was multiple awarded: journalist of the year in BiH 1983. and journal recognition for young- The awyrd “ 7 secretars of SKOJ” in 1984. 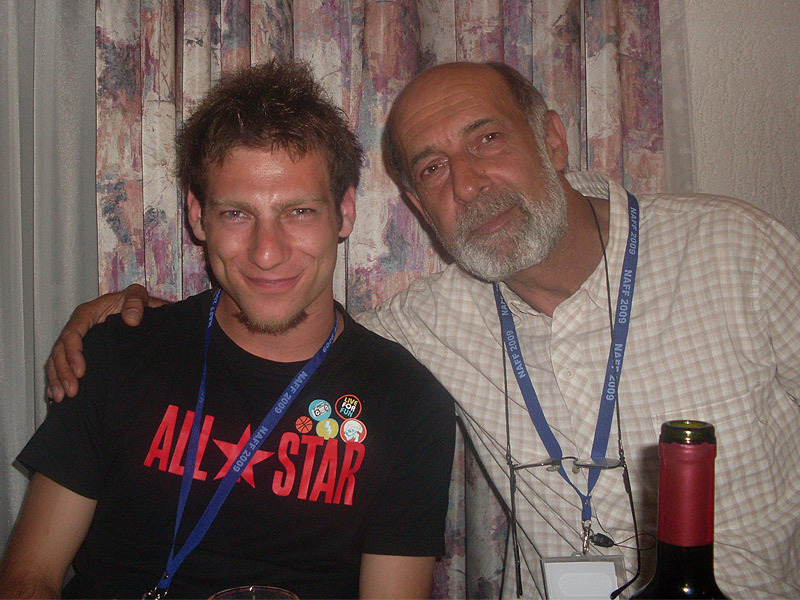 He was a part of a selection commission at the international TV festival and was a member of jury on film festivals in Pula, Tuzla, Skoplje and Bitolje, Theater plays in Jajce and International theater festival MESS Sarajevo. Milan Blažeković, was born in 1940 in Zagreb. 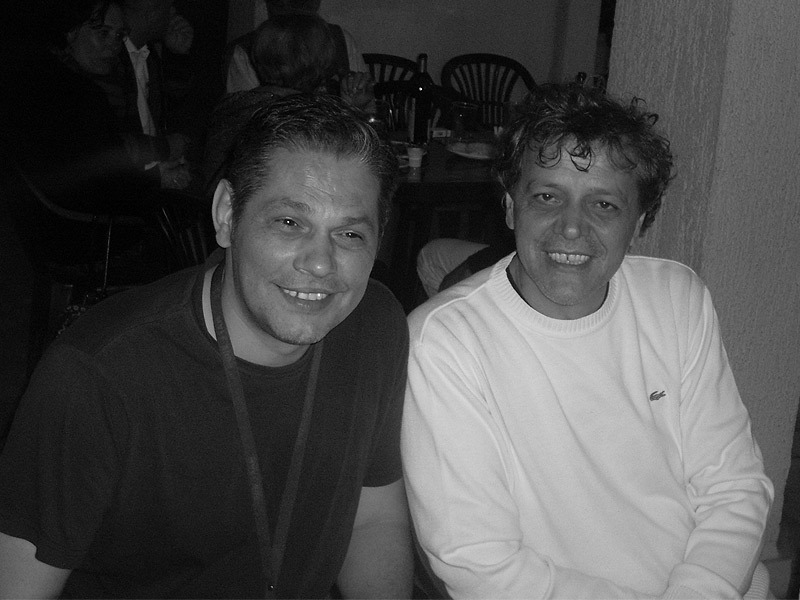 He is one of the representative well known Zagreb school of animated film, author of many ahort animated films (Dance of Gorilla, Man who had to sing) and TV commercials. Magic forest from 1986. is his first animated feature for which he made a sequel Wizard’s hat. Blažeković’s third feature is Lapitch, the little shoemaker from 1997. one of the most watched croatian films in our cinemas. Rastko Ćirić was born in Belgrade in 1955. 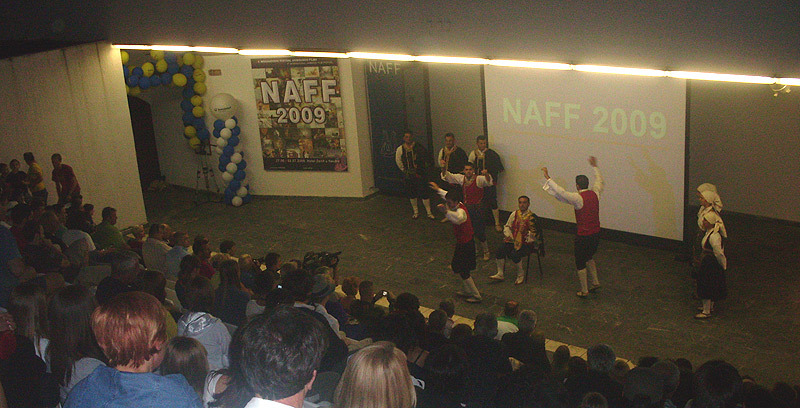 He graduated from Faculty of Fine arts in Belgrade. 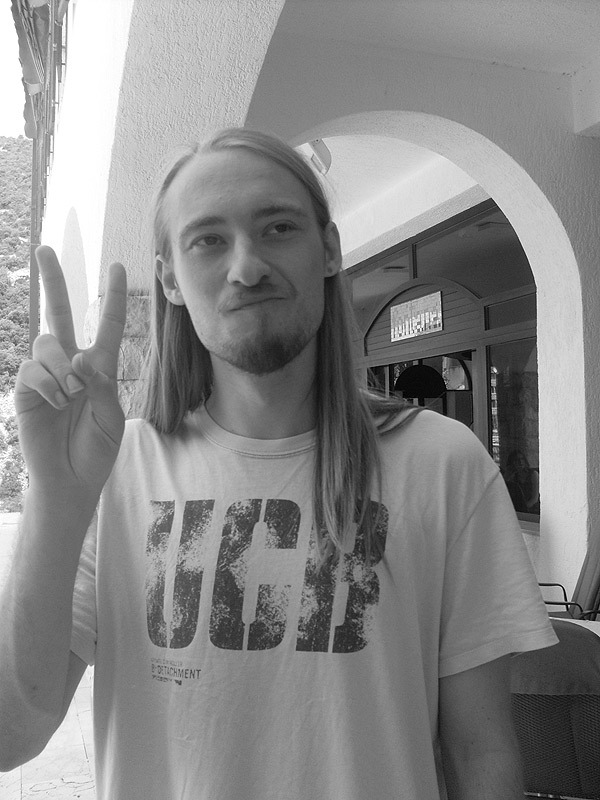 He is a member of ULUPUDS,ASIFA, Ekslibris society Belgrade (secretary of the society), YU Art Director Club. A regular professor at the FFA for the subject of illustration and professor of animation at the film school of Dunav Film. Domain of his activity are: graphic, fine graphic( illustration, trademarks, exlibris, comic books), animation, music, 29 autonomous exhibitions. He is authour of several books of animation and director of 13 animated films. Winner of many prizes for animation. Cooperator-illustrator of New York Times Book Review since 2002. Marie Jose van der Linden, was born in a small village in the Netherlands. She studied audio-visual design at the Academy of Arts in Tilburg. One of her teachers was Gerrit van Dijk. After graduating she made several independent animation films and she worked as an animator and director together with Gerrit van Dijk. Recently she wrote and illustrated two books about her family and her life as a child in a village. She lives and works as a freelance artist in Hertogenbosch.